CES 2010: Carry Your Mobile Phone in Style | It's not your tech, it's how you use it. One of the things that a lot of technologists will wave off about the 2010 Consumer Electronics Show in Las Vegas last week is the sheer abundance of mobile phone carriers, cases, shells, and other protective products. There are probably more companies out there making products for you to carry your iPhone, Palm Pre, Motorola Droid, HTC G1, or whatever smartphone you may have than there are people really looking for those products right now. Why does this matter to you, you ask? What makes this classy at all? I have two words for you, my fellow geeks: Belt. Clip. Get rid of it. For the love of whatever deity you may worship or not, get rid of that bulky belt clip you’re wearing your phone on. There are tons of cases and protector options out there already that aren’t bulky, slide into your pocket, serve multiple purposes, and will protect your phone and your image without making your pocket look like you’re hiding a deck of cards in there. I see you all the time â€“ in fact, I saw you at CES at a number of these booths; wearing your mobile phone snapped into a belt clip, attached to your belt, which is drawn entirely too tight across your waist, and your polyester shirt that bears the logo of a company you probably have nothing to do with tucked into your jeans or pleated slacks way above your waist. Hear me, fellow geeks â€“ a belt clip may seem like a great idea, but it puts your precious mobile phone out there where anyone can snag it, where you might bump it against a countertop and it’ll fall off (and to the floor), and really? It looks awful. There’s a better way. Most tech journalists and writers will rightfully point out that half of these companies will probably be out of business by this time next year â€“ so if you find something you maglie calcio poco prezzo really like, I would say hop on now while you still can, especially if you find a product that you really like. 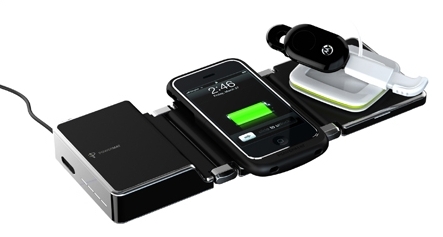 For example, Powermat, manufacturers of some of the first mainstream wireless charging devices, is working on new battery replacements for a number of different popular cell phones and devices that both remove the metal Powermat medallion from the back of your device, but also replace the battery with a higher-capacity one and give you the ability to drop your phone on any Powermat charging plate and have it instantly start charging, all without having to plug in a specific charger. Case-mate is working on similar wireless charging products, but they’ve made their name so far building custom cases and screen protectors for the iPhone and iPod Touch and for a number of Blackberry models, but they’re planning to release some battery packs and battery pack/cases for devices like HTC phones, the Blackberry Storm 2 and Bold, Motorola Droid, and a number of other popular mobile devices. The company has a variety of hard-shell cases, Maglia Inter Milan soft cases, and even case wallets that will keep your phone safe and protected, but also give you a place to stash a few credit cards and bills. Additionally, Case-mate makes a number of screen protectors that fit cleanly on your screen without the need for water-soluble adhesive, and a few cases that also double as battery extender packs so you get more juice out of your device. While a large part of their business still centers around the iPhone, if you don’t have one just sit tight until about February, when you can pick up some very sleek and stylish looking cases for your HTC G1, your Droid, or your Blackberry. 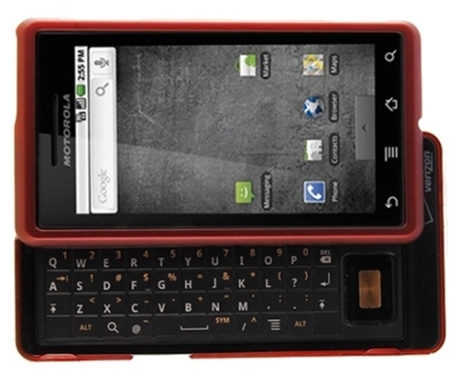 Similarly, Otterbox released a new line of cases at CES this year specifically for the Palm Pre. Pre owners have been out in the cold for a bit, their device has been on the market for a while, but the fact that the device is a slider has made it difficult to really create easy-to-use cases that can stay on while you’re using the device. Otterbox’s Tandem series comes in two pieces; one rubberized, semi-firm polycarbonate side for the back of the Pre and a snug-fitting protective ring for the front. 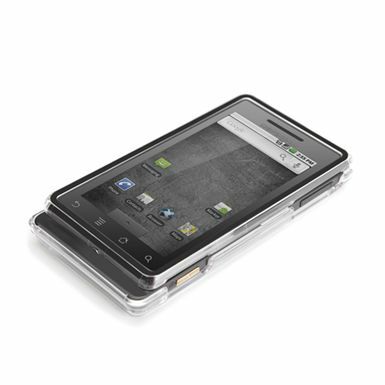 Otterbox also manufactures cases for the iPhone, for multiple Blackberry models, and for a number of HTC, Samsung, HP and Nokia phones. They make a number of different styles for different purposes â€“ if you’re looking for a firm, protective case that you can throw across a room and still keep your phone in good shape, they Maglia Roma have the Defender series. If you’re looking for a case that doesn’t add bulk but still offers solid protection in a hard polycarbonate shell, look at the Commuter series. If you’d rather keep the body of your device slim but still keep it protected, try the Impact series. IvySkin also made a showing at CES, and brought with them a number of interesting battery packs and device cases that, while almost exclusively focusing on the iPhone, fit the bill really nicely when we talk about cases that both look good and eliminate the need for bulky belt clips or massive holsters. Even their battery extenders don’t add much to the width of your phone, but do add hours upon hours to the life of your device. The IvySkin CardClip gives you a place to keep your bills and credit cards if you just want to grab your phone for a night on the town but don’t want to carry your whole wallet, and the Quattro T4 is a full glass case front that protects your touch-screen without keeping you from being able to use it. Similarly, the back slides off easily in two parts, so you don’t have to struggle to get the case on and off if you ever want to swap it out for another case or a battery extender. Sedio’s range of products go from desktop docks and chargers to the same belt clips I’m trying to tell you to get rid of, but also include a wealth of hard and soft cases that will fit comfortably in your pocket without giving you some ridiculous bulge on the side of your thigh. Similarly, Sedio makes a range of battery packs and extenders that will keep your device looking slim and trim, but also increase the talk or browsing time on your smartphone. You have tons of options that not only look great, but extend the functionality and longevity of your device. Whether you’re looking for a protective case, a battery extender, a wallet that can hold your ID, credit cards , and your phone at the same time, or just something to hold your device when you’re not using it, you don’t have to resort to a bulky, massive case in your pocket, or a barely-attached belt clip that will fall off the first time you sit down, round a corner too closely, or catch on a countertop or bathroom door. Break the cycle, and pick up something that will let you wear something other than tucked in shirts, something that doesn’t scream to the world exactly what kind of phone you have and where it is on your person at all times, and will similarly keep your phone safe, looking stylish, and maybe even more functional than it was sitting on your waist.